ZSL has been working to conserve Amur tigers and Amur leopards in the Russian Far East since 2006. We work with local partners and communities to strengthen law enforcement and develop wildlife health assessments. Monitoring of the Amur tiger populations is carried out in the United Administration of Lazovsky Zapovednik and Zov Tigra National Park (UALZZT) and the intervening public lands. Thanks to continuing conservation effort by ZSL and partners, this is now one of the tiger subspecies with a relatively stable population. The iconic Amur tiger (P. t. altaica), listed by IUCN as Endangered, faces a precarious future. The infrastructure and agro-forestry boom are rapidly carving up remaining tiger habitat and there is a growing illegal trade in parts for traditional (and non-traditional) medicine. Tigers are facing an even greater threat from extinction than ever before. With an estimated global wild tiger population of 3,200-3,800, the 540 remaining Amur tigers represent a sub-species critical to the persistence of these top feline predators. At least 17-21 Amur tigers reside within the project area. Each year during the winter and spring, tigers are monitored by camera trapping to collect evidence of the abundance of these and other animals in the Park. Data collected over several years has helped build up a picture of family dynamics and movement of individual animals. Photographic records such as these have helped to identify animals confiscated from the illegal wildlife trade. To protect both Amur tigers and leopards, ZSL conducts a wildlife health project, which provides veterinary training, a diagnostic laboratory and collects biological samples from small carnivores such as badgers and racoon dogs. This is part of a study to ascertain the level of targeted diseases including canine distemper virus (CDV). Small carnivores may facilitate the spread of disease through big cat habitat. The team collaborate with protected areas to train and equip rapid response teams able to respond to reports of ongoing violations in remote protected areas. In addition, data collected by the parks patrol teams using the Spatial Monitoring and Reporting Tool (SMART) is evaluated and used to develop strategic patrols. Camera traps are not only used to monitor populations but in this area are also used to catch poachers and record suspicious human activity in the Park. 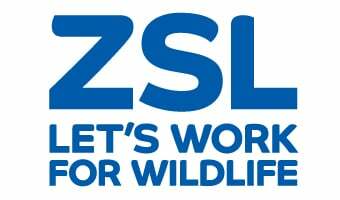 The ZSL team nurture an appreciation for tigers and support for their conservation by engaging with local schools and by showing camera trap photography of the resident tigers and explaining how they carry out their studies. This project is run by Dr Linda Kerley, a tiger biologist who has lived in Russia’s Far East for more than 20 years. Partners: UALZZT, Primorskii State Agricultural Academy (PSAA); WCS Russia; AMUR; Wildlife Vets International, Phoenix Fund, WWF Russia. Kindly funded by: The Darwin Initative; Dorothy Howard Charitable Trust; Mohammed bin Zayed Species Fund; BBC Natural History Unit; Save the Tiger Fund; Indianapolis Zoo; The Foundation of Prince William and Prince Harry; USFWS Rhino-Tiger fund; Segre Foundation, Hennig-Olsen, WildCats Conservation Alliance.